Every company should understand the concept known as the customer lifecycle value. As the team continuously preaches about how important it is for businesses to satisfy customers in order to retain them, you will hopefully learn something new today – I certainly did. Customer lifecycle value refers to a relationship marketing technique that allows companies to look at the investments we plan to make for the customers, for example, customer retention, sales, promotion, or customer service, and the return they should expect from customers. It is the present value of the expected future cash flows from the customer. Why calculate the customer lifecycle value? The customer lifecycle value gives companies insight into long-term customer satisfaction. 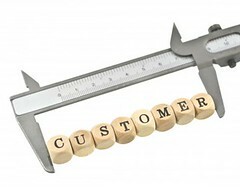 Companies tend to study customer behavior and improve their sales and marketing plans based on them. However, it is better for companies to calculate the customer lifecycle value and improve their sales and marketing plans based on this value. The way customers think and behave changes over time; these changes give business clues to what their future holds. The customer lifecycle value (CLV) is used to calculate the customer lifetime value (LTV), which is basically the total profit or loss estimated to result from an ongoing business relationship with a customer over the life of relationship. We will be writing a blog post elaborating on LTV very soon, so keep an eye out for it. The goal of relationship marketing is to increase customer loyalty and retention. It is all about satisfying existing customers and spreading word through them about how well their product or service is doing. The key to doing this is for companies to show customers that they care by communicating with them, engaging with them, and doing something about feedback or new ideas which customers suggest. With OneDesk, your company will have an easier time managing customer relationships. OneDesk comes with an interactive customer feedback application, through which customers can easily submit feedback and ideas. Its social collaboration tools allow companies to communicate with customers and discover their exact needs. Complete with CRM, product management and budget tracking capabilities, can help your company strengthen its relationship with companies. Try OneDesk for free today and increase your company’s customer lifecycle value.